Aiden has always loved dinosaurs, but he's currently obsessed with them. Like, all of them! 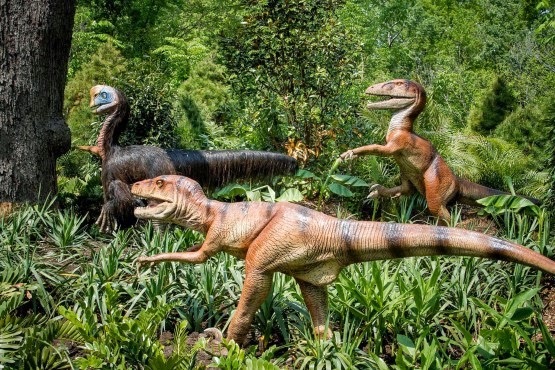 Like, if we're not talking about superheroes or sports teams, we're talking about dinosaurs. Or reading a book about dinosaurs. Or looking up facts on the Internet about dinosaurs. Or playing with his toy dinosaurs. Or pretending that we're dinosaurs. Or... you get my point. But it's cool though... I'm here for it. Especially since Spring weather has finally arrived in NYC and I can take Aiden's interest and turn 'em into really cool, fun, and exciting learning experiences. Enter Dinosaur Safari at The Bronx Zoo. 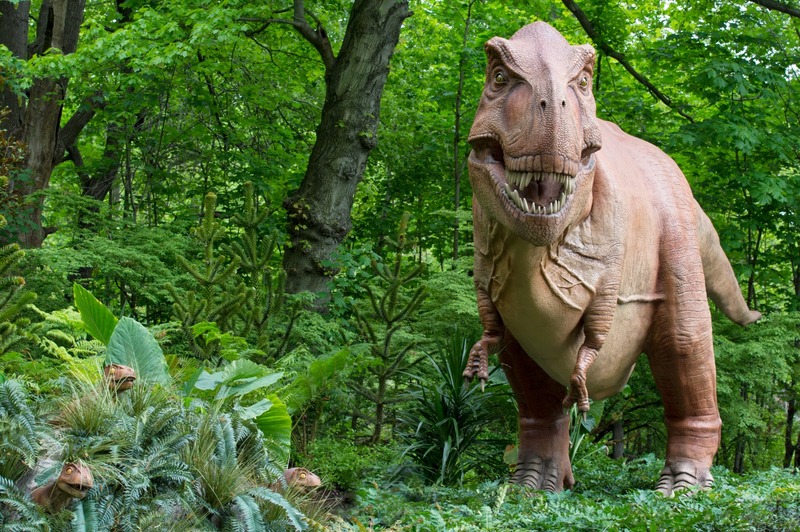 Located in a 2-acre area of the Bronx Zoo, guests can hop on a hayride-like wagon and enjoy Mysteries Revealed -- an interactive ride filled with over 30 realistic, animatronic dinosaurs that'll roar, move, hiss, and even spit water. The ride is led by a "detective" narrator who will tell the story of how paleontologists gather ancient evidence to draft the story of our history. Children will also have the opportunity to learn how scientists use clues and study modern animals in order to create pictures of what ancient creatures might have looked like, sounded like, and acted like. When I think of Dinosaur Safari at The Bronx Zoo, I think of walking through -- or, in this case, riding through -- an outdoor museum! The ride includes old favorites from last year's launch (Tyrannosaurus Rex, Triceratops, Baryonyx, Quetzalcoatlus, Compsognathus, Allosaurus, Barchiosaurus, and Dilophosaurus) and new species (Acrocanthosaurus, Compsagnathus, Stegosaurus, Edmontonia, Parasaurolophus, Deinonychus, Protohadros, Amargasaurus, and Tupuxuara). Together it'll blow your kids away with squeals and excitement! 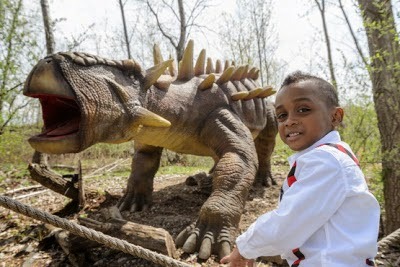 Once the ride is over, children can hang out at the Dinosaur Safari Field Site and dig for fossils, control an animatronic robot, take pictures on a gigantic Pachyrhinosaurus, and touch skulls and claws. I'm all about hands-on learning experiences for children -- especially Aiden -- and this is right up our alley! It not only fits Aiden's learning style, but it's interactive, experiential, and fun! You and your family can join in the fun and enjoy Dinosaur Safari at The Bronx Zoo everyday from now through Labor Day, September 1, 2014. Visit The Bronx Zoo Dinosaur Safari website for more information or the purchase your tickets. My son would LOVE this! He, too, is currently obsessed with dinosaurs. Between the books, toys, movies, TV shows and youtube videos, this kid a paleontologist in the making! Does your son watch Dino Dan on NickJr? Oh THANK YOU so much for this, Chunks and Aiden can be buddies he is OBSESSED!! All we talk about are these 6 syllable animals so this would be the perfect Saturday morning trip for him!